Win was 10th win and 19th podium for Ari Vatanen. Second place was 25th podium for Stig Blomqvist. Third place was 12th podium for Timo Salonen. Win was 10th win and win and third place were 16th to 17th podiums for Peugeot. Second place was 53rd podium for Audi. 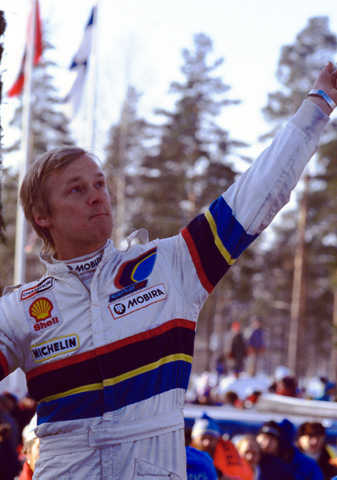 Third consecutive WRC win gives Vatanen a splendid opportunity to throw a cap to the crowd.